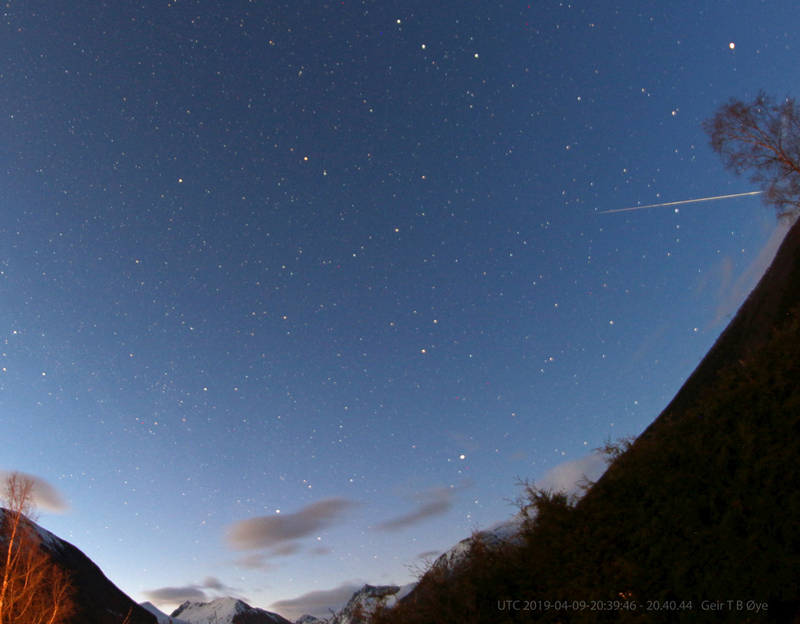 Bright meteor photographed on a gradually brighter spring evening. Canon 650D, Samyang 8 mm fisheye-lens, Iso: 800, exposure: 58.2 seconds. Location: Ørsta, Norway.